Addictive personalities come in a variety of forms. I know people who don’t drink, smoke, do drugs or gamble, but when it comes to their iPhone, there is definitely an addiction problem. We aren’t talking the average, heavy iPhone user, here. We are talking – gone over the edge and needing intervention. 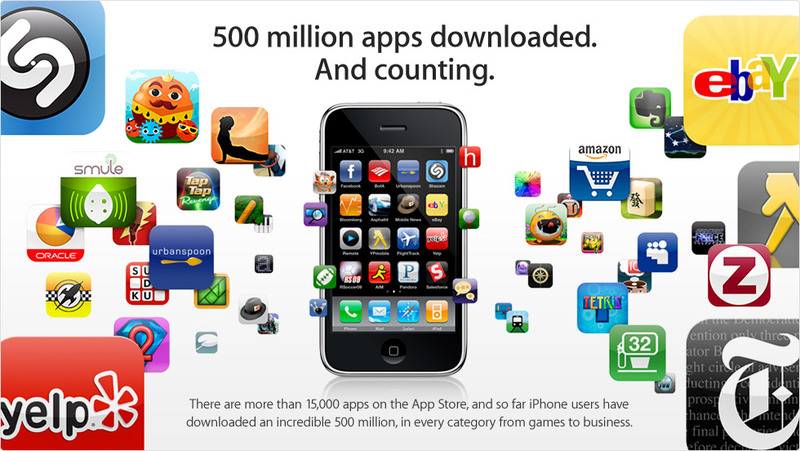 It is the iPhone apps that they can’t get enough of. Here are some of the signs. 1. Mega Apps – An iPhone junkie would have lots of apps loaded on his phone. In addition to this, he will always be on the lookout for new ones, and he will know just where to find them. If there is an iPhone application available as a solution, he will be able to tell you about it and probably show it to you on his phone. 2. First Aid – The app junkie will consult his iPhone for everything and anything. He will definitely have at least one first aid app on his phone. Just tell him your symptoms, and he’ll be able to type them in and come up with a diagnosis. 3. Hand Warmer – If he is a true iPhone app junkie, he will have the hand warmer application. If he lives in Hawaii and has the hand warmer app, it is time to call the family together for that intervention. Seriously! 4. Guitar Tuner – If he shows up early to concerts so that he can offer his help to the band when they’re tuning up their guitars, then he probably has the guitar tuner app. A great app, if you actually play the guitar. 5. Find My iPhone – If he is iPhone application junkie, then he will know about the Find My iPhone Service. And he will be prepared to use it, should his iPhone come up missing. If you are the one who stole his iPhone, get rid of it. Quick! Your life is in serious danger! 6. Metal Detector – Why go out and buy a bulky metal detector when you can simply use your iPhone. Look for the guy walking around the park using his iPhone to look for loose change. The junkies all have this one. 7. Wallpaper Apps – If you have over 50 of the 75 available apps for customizing your iPhone’s wallpaper that could be a definite indicator. One or two, maybe. Fifty? You most certainly have a problem. 8. X-ray – Yes, there is an iPhone application that can turn your iPhone into an x-ray machine. Very handy for when you trip down the steps because you had your eyes on your phone instead of where you were going. If you’re an iPhone app addict, you at least knew this existed. 9. Cigar and Lighter - The true junkie would certainly not smoke a real cigar, but he would have the virtual cigar application and the virtual lighter application available on his phone, so that he could take a puff occasionally. 10. iBeer – When you’re hot and thirsty, there’s nothing like a cold iBeer to satisfy you, right? And why have a six pack in the fridge for your friends, when you can simply offer them an iBeer? If you have actually offered your friends an iBeer, it’s time to ask for help. It can be difficult to make the diagnosis yourself. Even your first aid app is unlikely to help you with this one, but ask your friends and family. They will know if you have an iPhone application addiction. Let them help you. It’s for your own good.